Support RetroArch and Lakka on Patreon! This project was created on 03/14/2016 and last updated 25 days ago. A very affordable portable console will be made using a 120 FPS 320x240 display and a Raspberry Pi Zero. It will be thin and tiny: only 66 mm x 99 mm! The Lakka distribution powered by RetroArch will be used because of its speed, its fast power-on and instant power-off and its potential to run many retro and hipster-retro games (LÖVE, PICO-8, Scratch and emulators). [Jean-André] from France is the software guy of this project. He is the main Lakka developer and a top 5 RetroArch contributor. [David] from Switzerland is the hardware guy. Support Libretro, RetroArch and Lakka through Patreon! "The question is: Will the child program the computer or will the computer program the child? Will the child run the machine or will the machine run the child?" Seymour Papert was not afraid of video games. In The Connected Family, he viewed them as a powerful tool for each child to expand his learning style and explore powerful ideas. In making games, he saw a way to develop their sense of control and their ownership of technology. In playing games, he saw a way of learning-about-learning as the act of mastering a game is in effect about finding the best and fastest strategy of learning. In a world dominated by black boxes like tablets and phones, we hope that building an affordable open source retro console will help expand the playful education of children and their adult equivalent: the makers. 1 × Raspberry Pi Zero 1 GHz ought to be enough for anybody. 1 × 2.4" TFT 320x240 (RGB 565 @ 120 FPS) None of this SPI protocol rubbish! We got the new assembled prototypes back from China and dispatched them to France, Switzerland and USA to the different developers, thanks to the hard work of [VRPC]. In the meantime, [techanic] also ordered a board from OSHPark and hand assembled it, which you can see in the photo above. This is really open-source hardware development at its best! We are now trying to 3D print the case and figure out some kind of levers for the L/R buttons. We do not take any money, but you can support the software that the Gamegirl uses. We had an interview on Open Consoles, a French website dedicated to covering open source and Android portable game consoles, who had already covered us in June 2016. If this project has to be remembered, it should be as successful example of open hardware development. Indeed, it is not just the hardware which is open but the whole development process, with discussions and files being exchanged by more than a hundred users on our Discord chat. As an example of this openness the first working Gamegirl was in the hands of a contributor, [poulsen93] who took the picture above. And as the development advances we hope to provide more and more devices to contributors. You can contribute in a lot of ways, regardless of your experience. If you have ever in a film theatre constructed in the 1950s, chance is they probably still use the legendary Voice of the Theatre speakers, maybe with some tweeter replacement. These speakers were made by Altec Lansing engineers and delivered unsurpassed efficiency, voice articulation and time alignment and have a very characteristic sound signature. The fact that these systems were entirely equalised by ear didn&apos;t remove anything from the enjoyment of the listeners. The analog audio output of the Raspberry Pis has a bad reputation. Similar to the cinema professionals of the 1950s, we don&apos;t have expensive sound measurement equipment. As such, we will try everything possible to get the best sound quality with our ears. Our subjective benchmark will be: it must sound good. The speaker will probably be a CDM-20008 for his flat low-frequency response (good bass) but it would be better if someone could buy a couple of them and compare them next to each other. To further improve the low-end extension (bass), @poulsen93 is currently making tests with a Helmholtz resonator (a can of Pringles) that you can see on the photo on the left. We are testing the amplifier on the photo on the right but we need help for noise hiss reduction as we can currently hear when the Pi is making complicated calculations or not. Don&apos;t hesitate to drop on the Discord Chat if you have some useful advice. The package that was lost two weeks ago finally arrived in Vietnam... just after [Jean-André] had left the country. Talk about bad luck. Thankfully, other prototypes v0.1 are ready and will go to [@Travis Brown], [@poulsen93] and [@jonathan thornburg]. These are provided free of charge (display not included) thanks to the money provided by the Hackaday Prize. You can see on the left that we are currently experimenting with the audio amplifier. More on that in a future project log! All goes according to plan! The prototype v0.1 has been soldered together and tested with a Raspberry Pi 2. Games run great under RetroArch and the buttons are buttoning up, just as planned. Well... the only hitch is that this prototype is currently lost in a package between Switzerland and Vietnam. Indeed, we were hoping to post better pictures and videos once the package had arrived but this one will have to do for now. The Discord Chat is very active, with more than 100 users. We are welcoming all contributors, regardless of the experience: the beginners can help with mockups of the LÖVE game editor and menus of the console and the developers can help with electronics, CAD and programming. [David] and I are happy to announce that 8Bitdo will be our partner in this project! If you are a retro gamer, chances are that you already heard about 8Bitdo. 8Bitdo is a company based in Hong Kong who produce very polished Bluetooth gamepads that mimic the look of our good old pads. We got their contact thanks to the libretro guys who are already collaborating with them. 8Bitdo will help us about the buttons and the case. Finding good rubber dome buttons on the web is very difficult. Since they are experts about that, we are can be sure that the Gamegirl will have the best ergonomy we can afford. In this project log I will try to explain why having a pure RetroArch/libretro approach is technically cleaner. The libretro API is there to separate the frontend (graphical interface) and the backend (the emulators). Adding an external frontend on top of it makes little sense, since it is an additional layer that can&apos;t take advantage of the low level API. For example, with a frontend like RetroArch, you can display the current game in a small window while navigating the menu. This is not a very usefull feature, but it could become useful in the future to preview shaders. Now, let think about effort duplication. Emulator hackers spend a lot of time trying to optimize emulators for the RPi. We end up with a ton of different versions, all with their graphical interface baked in. All the effort spent in including individual games on a distro like RetroPie and a frontend like EmulationStation could be instead spent in simply porting those games to libretro. This would make those games compatibles to every device supported by RetroArch. This would also make those games cleaner, by separating the content and the GUI. Same goes for controller support. With a pure libretro distro, you get a centralised gamepad management. What works for games works for the menu. While with EmulationStation, the joypad code is duplicated. This is bloated. Graphical contexts are another example. RetroArch already does the work of setting up the context like VideoCore or Mali or X11. External frontends have to duplicate that code. There is no doubt that libretro should become the target platform if we want cleaner software. Cross compilation : compile the whole distro in 2 hours on your PC and get the image. Compressed auto expandable image : the OS image is 150mb. Totally agree about using a DPI LCD. However, I used a RGB666 480x320 screen to enable PSP emulator. BTW, I&apos;m having trouble adjusting the GAMMA settings of ILI9486, hope to get some tips from you because your screen looks great. Do you have anyone working on a case yet? I could perhaps help out with that, I already have a full size gameboy case made in CAD and 3d printed for a pi zero system, it could be modified for this. Are you still looking for 3D printing contributions? Yes, we are always looking for contributions, especially if you can do some mechanical design. Sorry for not replying earlier. Hello [dj_pale]! Any update on running Lakka on the PiGRRL? Does this project works with a Raspberry Pi 2/3 ? I think the emulation would be so much better with a newer model of RPi... That depends of what emulation you want to do. I&apos;m dreaming about emulating PlayStation 1 / Nintendo 64 and DreamCast in a so tiny console ! Lakka is actually available for Pi 2/3 but we chose the Pi Zero because of its size: it&apos;s even thinner than the Compute Modules. Super stoked about this project, I&apos;ll be checking this frequently for updates. Cannot wait for it to be completed! I really, really hope this takes off, I hope you can do or get some good marketing. The unified API is extremely sensible, and the size and functionality of this device just makes sense. It&apos;s even better for the Pico-8 than the C.H.I.P. they are bundling it in. I was just looking at the demo video of the screen you manually wired up, and this is a great achievement. But I was wondering what your thoughts are on the response times of that LCD. On the video it looked like there was a fair bit of motion blur. Is this not the final screen, or is it worse on video than it looks IRL? What do you think? Yes, the screen looks much better in real life. There are very faint vertical lines which may be due to the some clock divider setting (PCDIV) but they are not very visible and hopefully that will be resolved by our beta testers. Can you explain how button system is working. i mean retroarch side. how did you manage to present this button configuration to retroarch? And sound, personally tried your sound circuit, i just got noisy sound(ish)...i tried with similar npn. is this any news about sound part? On the button side, you can read the states using wiringPi and send these using udev and some EV_KEY/EV_SYN trickery. This part is not yet ready but you can drop on the chat and help us if you want. For the sound, the buzzer was just a temporary solution and it does indeed sound really bad. Yesterday, @poulsen93 started testing an audio amplifier and speaker and he&apos;s currently tweaking them to obtain a good sound (subjectively). You can also help us with that. My solution for sound is just an cheap(3$) usb sound card. i wasn&apos;t aware i could get really good sound of these... also it&apos;s hackable to use with 3.7v battery. try it, you&apos;ll notice difference. A USB sound card would be a good solution to have quality stereo sound (with headphones for example) but then we cannot use USB OTG to load games or connect a USB gamepad. Hey have there been any updates to this recently? I try to check in every day hoping to see some progress! Hi I like this and I am looking at screens, you mention the HX8347-D controller, I have seen a LOT of TFTs that are 240x320 (rather than 320x240, so they are portrait).. this would obviously have to be configured as a portrait display in the config, but is it then possible to rotate the display so that it can be used as 320x240 (with pixels clocked in at 240x320)? Hope that makes sense..
EDIT2: I think I found you can use "dtoverlay=<type>,rotate=90" to do this, can you confirm? Yes, we use display_rotate=1 and that works just fine with a landscape display. It&apos;s just that the viewing angles are optimised to be worse from the bottom (not a problem with IPS) and the bezel is too big on one side. 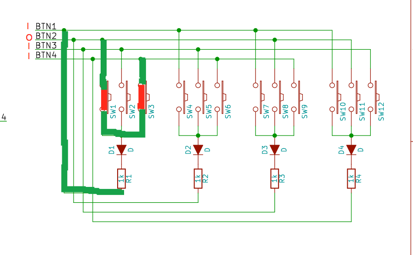 UART doesn&apos;t seem possible with any configuration (ili9341 RGB 565 pins.png). Better to use reasonablycorrect.com and elinux.org than Adafruit for reference. In the first link, instead of a dt-blob.bin you can use a dts-overlay. I have to make a writeup of this when I have the time. If you want to help you can come to https://discord.gg/0y3hRkVsItoaCAR1. @arnaud.durand also wanted to test IPS portrait displays. Perfect thanks :) I&apos;m still trying to find the most ideal LCD and driver to use first.. luckily I have a power controller that can do the SPI set up, as 5 out of 6 candidate displays require SPI to get into DPI mode.. Your links are a great help and I&apos;d love to help out.. an IPS display would be great, I&apos;ll chat on irc. In the end I found no RGB565 capable 2.2" IPS screen. I contacted some Chinese suppliers to get datasheet but either the necessary pins are not broken out or the description is wrong (descriptions reported HX8347-D but have in reality ILI9341 as the product was replaced/discontinued). I will try a 3.5" 480x800 IPS Sharp LS035Y8DX04A which looks nice but is not suited to your design. I&apos;ll try to slightly modify the design of @JohSchneider Pigrrl-Zero to include a bigger screen and share it with everyone if it&apos;s not too bad. @arnaud.durand Hey, I&apos;m trying to connect the same Sharp LS035Y8DX04A display but having trouble figuring out how to do the SPI init sequence. Did you manage to connect it to the pi? I&apos;m very interested in learning from this project and hopefully making one of my own at some point. I&apos;ve shared this link around. I can&apos;t wait to see more progress. I&apos;ll definitely buy one if available! Wow, this specsheet is dense! I&apos;ll try, but it might take a few weeks until I get the components. Any guess if I should order this http://fr.aliexpress.com/item/IPS-2-4-inch-37P-262K-TFT-LCD-Screen-with-Touch-Panel-HX8347D-Drive-IC-16Bit/32425047539.html?isOrig=true#extend or this http://fr.aliexpress.com/item/IPS-2-4-inch-44PIN-TFT-LCD-Screen-HX8347D-Drive-IC-Compatible-TFT3P2020-w-240-320/32430263558.html?isOrig=true#extend? The non-touch version seems to have 44 pins while the touch version have 37 pins. Do you have any clue why? Does your screen use the standard 40-pin FPC 0.5mm cable? I wonder if hand soldering of the header is practical. Our current display uses a 50-pin FPC 0.5 mm so the pinout wouldn&apos;t match and ILI9341 is not ideal because you need to initialise DPI first through SPI. I would go with the first HX8347-D that you linked because at least the pinout is described but it would be better to find a panel with a full PDF datasheet. We can discuss that on https://discord.gg/0y3hRkVsItoaCAR1. Such a cool project. You guys should crowdfund this. Gonna follow this with great interest. Cheers! Kickstarters are not very popular in the RetroArch community as some people have made money from the project by illegally redistributing it (RetroN 5 for example). That&apos;s why we prefer making an open source project and improving the software for the time being. But don&apos;t hesitate to share the link to this page and if enough people are interested we will try to get something together. wouldnt it be nicer with an IPS display? TFT makes viewing angles hard to look at. Yes, let us know if you have a good source for horizontal 320x240 IPS-panels with 2.4"-2.8" diagonal. We are currently using a vertical TN-panel only because that is easier to reliably source in low quantity. The viewing angles are actually not that bad and the black levels, color balance and ghosting are much better than what you find in an old mobile phone. I would say it&apos;s on par with a Nokia 225. You are about to report the project "Gamegirl: the retro console done right", please tell us the reason.